Bleach 655 might get released late, that is why here are some manga preview spoilers which fans have been able to obtain. Seem’s like Gerard’s Miracle is definitely is something to look into after all the damage he’s taken. Nevertheless, let’s begin this chapter with a few images seen below. Bleach 655 begins as Gerard is worn out, unable to do a lot except to ask the Gotei a few questions. He asks about ‘The Miracle’ and what they might think it might be or mean to them. He mentions that none of them will realise what’ll have happened when it’s activated. He calls himself lucky at this point, while Renji asks what he’s talking about. 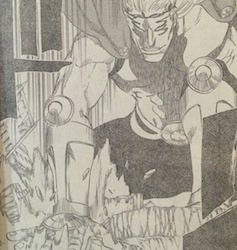 He expected them to try and beat him up, however the way in which his power, The Miracle, work is when he’s on the verge of danger, he’s able to use it. 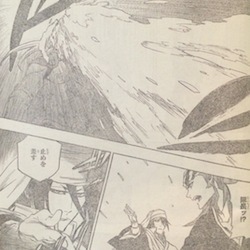 Byakuya launches an attack towards Gerard’s face, he mentions that he shall finish him while they still can. His helmet comes out as Momo tries to encourage them. Shinji mentions here that with all that he’s mentioned, he might have a trump card up his sleeve and just wanted him to attack so he could use it now. Byakuya lands another blow on Gerard’s stomach, he begins to bleed. Byakuya mentions that they should all just go when Shinji wants to double check. The rest of the group goes on ahead when a gigantic foot appears and tries to attack them all. Fortunately, everyone moves away, Renji tries to ask what has just happened. Gerard reintroduces himself once again as Gerard Valkyrie, he shouts it. 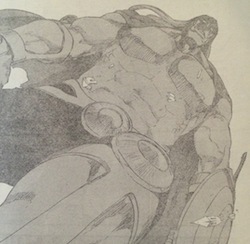 With his Shrift “M” for Miracle, he is able to get wounded and thus in exchange he can became the size of a God. He thus expected the Gotei to knock him around like they did, and thus in exchange, he was able to gain such power. Everyone cries out her name when Rukia calls out Hirako Taichou, Byakuya attacks as Gerard blocks it using his own hands. Byakuya is launched upwards and somehow lands on a building. Both Rukia and Renji are exhausted. Gerard blows away most of the area as he laughs loudly, no one expected The Miracle to be so powerful and horrific. Bleach 655 ends here. A fantastic chapter, even for a spoilerfull power, I can’t wait for the actual chapter to appear. And it seems that Momo got splat like a bug, will she survive, what’ll happen now. Can’t wait to see what happens next. My god. 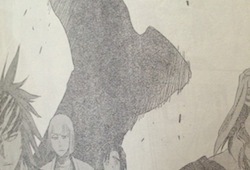 From what I can tell, it seems Gerard is facing Rukia, Byakuya, Renji, and Shinji. Wow so Byakuya is already in Bankai. Manga is out. So ritter M has the exact same power of Yammy, great. Just get Zaraki & Byakuya again. Hope ritter X dies off screen, he’s irrelevant. Bleach’s ratings need to improve now, Kubo needs to do something. Not exactly. Yammys power is way different. In his sealed form, he needs to eat and sleep to increase his Reiryoku to release his Zanpakuto. His Ressreccion Ira, works when he gets angry, he grows bigger. Gerard’s The Miracle is different. It seems the more he is injured, the larger hell become. Ever sense the Schutzstaffel have fought, you don’t seem to happy with it. I can already guess is cause your not a Quincy fan. Which is fine, but this fight will last just as long as Pernida’s and Lille’s fight. It is so obvious that he’ll take out Renji, Rukia, and Byakuya. He apparently killed Momo. I’m kind of a fan of the Quincies. Lille was boring & pathetic. Pernida was ok, not complaining much. Thought Gerard was going to be different & bit more exciting, I could be wrong too early. Askin lowest of the 4 so I just want to see his opponent, think it’s going to be Yoruichi. I want Bleach to be better so it could be popular again & hopefully get anime. For Bleach fans this material is fine. 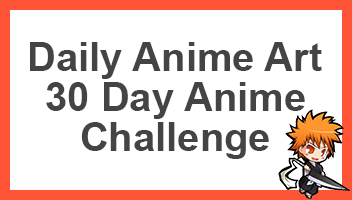 For non Bleach fans they want Aizen, Yhwach, Ichigo, Ichibei or something big. I see. Fair enough. Personality wise, Lille is the most bland. His abilities however aren’t, but I see what you mean. Pernida is probably the most interesting Schutzstaffel to me at least. Askin has the best developed personality. I also agree that Yoruichi will be his final opponent. If you have ever checked the ratings for Bleach and volume sales, they have increased every year ever sense this arc was released. It is definitely getting animated. If we have learned anything from Pernida and Lille, is to never judge too soon. Gerard could even likely have more going for him other than Vollständig. I remember it being #25 in sales now it’s #16 I think. It’s good but it could be better, I’m hoping it goes back to being Top3 loll like in Aizen arc. If it was animated the sales would improve even more, it’s taking too long. Where they hell is Ishida. I know. I know it will come back. I guess when Yhwach promoted Uryu to the Elite Guard without Jugram’s attention and sent him to fight the Shinigami with the other Schutzstaffel, he was more than likely sent to were Askin is. I wouldn’t he surprised because he’s clearly outnumbered.